One of the best parts about our charming southern town is the opportunity to relax and unwind. With Milledgeville’s beautiful shady trees to lie under, you will be stress-free in no time. 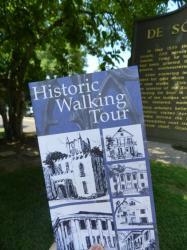 Stop by the Milledgeville Visitor’s Bureau to pick up a Walking Tour Guide. It will take you through the most historic houses of Milledgeville, with pictures and descriptions of each building. It will take you to places like the Old State Capitol and Georgia’s Antebellum Capital Museum, and Sacred Heart Catholic Church, where Flannery O’Connor attended. Enjoy the walk under our beautiful shady trees, and learn about Milledgeville’s rich history. Looking to get pampered? 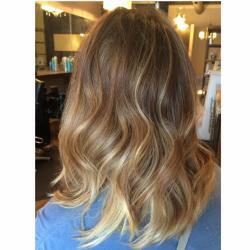 Stop by Hairbar in downtown Milledgeville for a blow-out, or a cute mani/pedi. It is a full-service hair and nail salon that offers keratin treatments, highlights, and gel manicures that will guarantee to make you feel relaxed and beautiful on your day off. 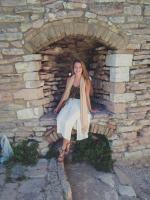 The staff is fun and talkative, so you know you will have a great experience. Pick up a lunch to-go at any of our amazing downtown restaurants, and head to the Oconee River Greenway for a picnic. All you need is a blanket to sit on, a good book, and the perfect tree to sit under for calming afternoon. If you are looking for a little more fun, Buffingtons hosts a summer concert series on the second Saturday of each month at the Greenway. 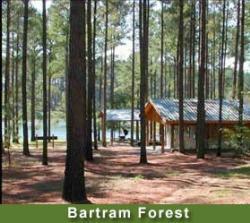 Bartram Forest is one of Milledgeville’s hidden gems, with is tall trees and great views, it is the perfect sanctuary to relax in. 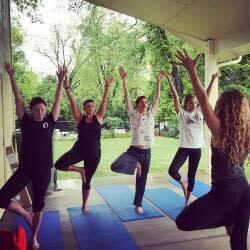 It has walking biking trails, bird watching, a pavilion and a garden. Bring your eno to this beautiful location, and look out at the Oconee River to be one with nature. 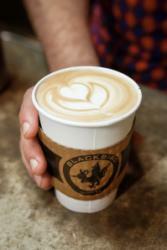 After you have had a long relaxing day, cozy up with a cup of coffee or tea from Blackbird Coffee. They micro-roast their coffee on site so you can smell the delicious aroma. Sit and relax on their comfortable couches, and enjoy the local art and music for a genuine Blackbird experience.